American Airlines said it plans to terminate its code-sharing partnerships with Qatar Airways and Etihad next year. This simply means you won’t be able to buy (or redeem points for) an American Airlines ticket to fly on operated by either airline– or vice versa. 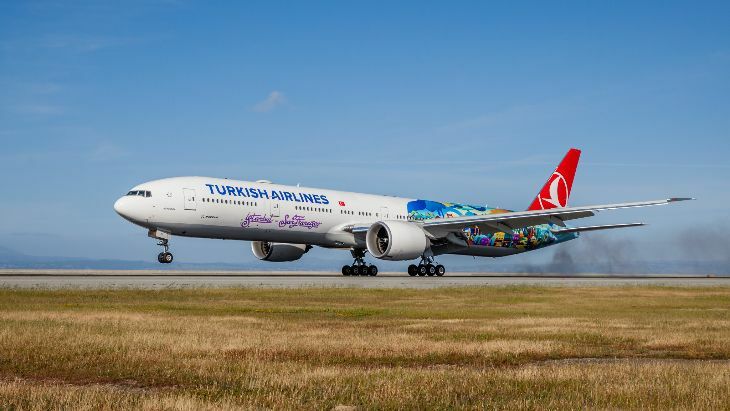 However, frequent flyer partnerships will remain in place. For now, at least. This shouldn’t come as a surprise, considering that American, Delta and United have been engaged in a years-long fight against the Middle East Big Three – Etihad, Qatar and Emirates – alleging that those carriers are subsidized by their governments, in violation of the Open Skies agreements that have allowed them to greatly expand their U.S. presence in recent years. The Mideast carriers deny those allegations. So things have been quite tense between the U.S. Big Three and the Mideast Big Three for a long time. Qatar Airways roiled the waters even more last month when it said it planned to acquire a stake of up to 10 percent in American Airlines – an unsolicited offer that American did not welcome. A week after that investment plan was made public, American told both Qatar and Etihad that it would be pulling the plug on its code-sharing agreements with both of them effective March 25 of next year. 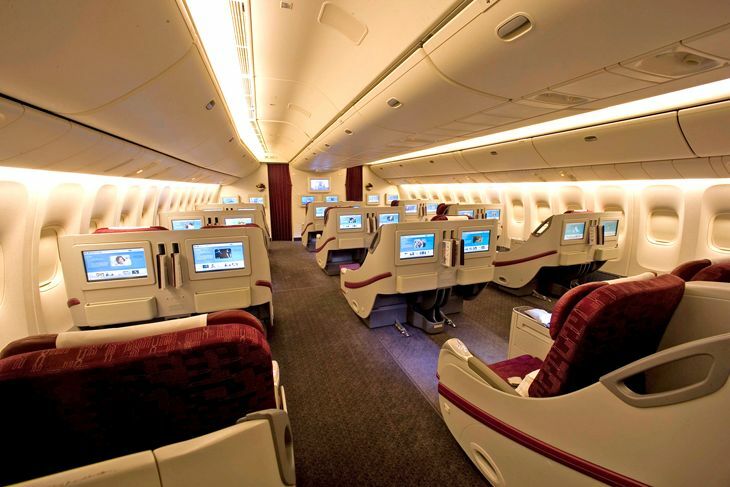 Qatar Airways has been a member of American’s Oneworld global alliance since 2013. 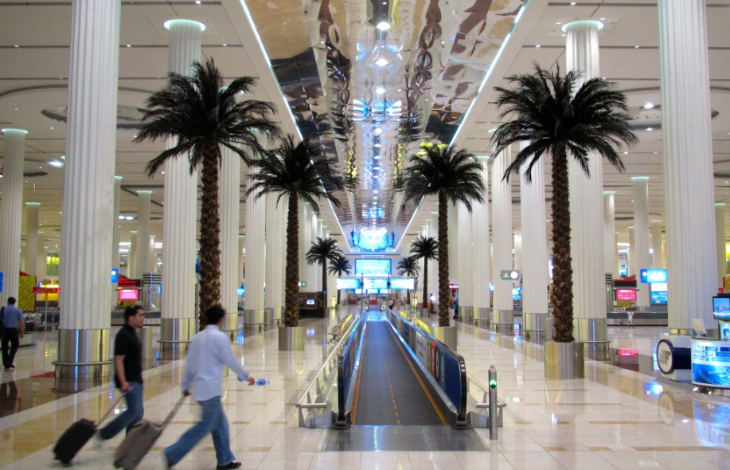 Important: An American official told Air Transport World that other aspects of the airline’s relationships with Qatar and Etihad will stay in place, including interline access, frequent flyer programs and airport lounge access. 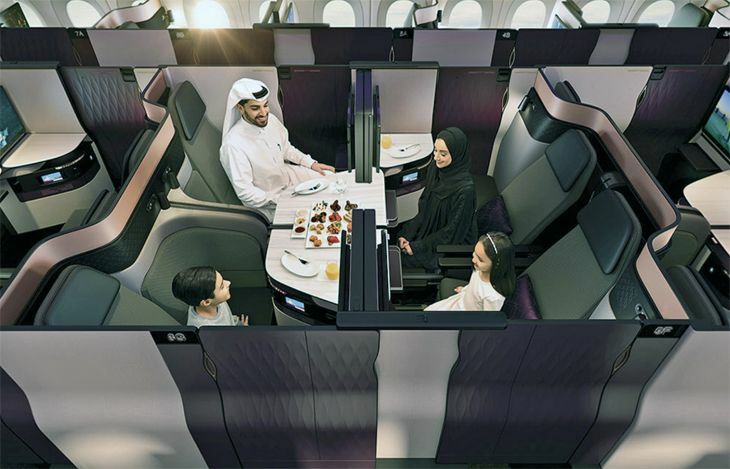 The downside of the loss of codesharing means that Advantage members will no longer earn elite qualifying miles on flights operated by Qatar or Etihad. 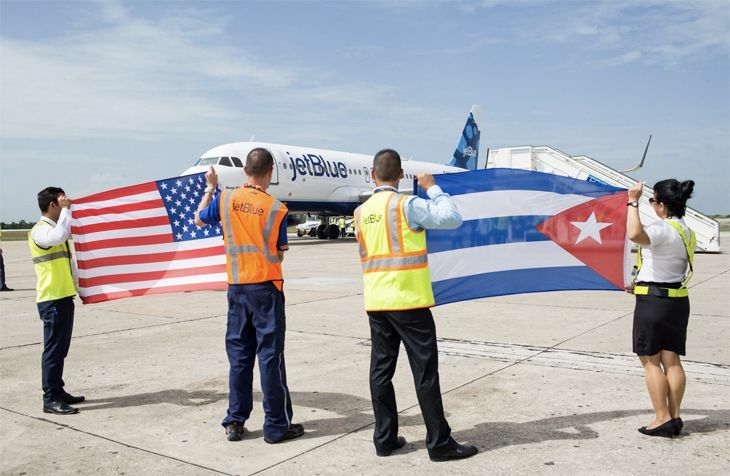 The decision to end code-sharing was made shortly before another incident that made relations between the carriers even worse. Qatar Airways CEO Akbar Al-Baker gave a speech last week in which he bragged about his airline’s flight attendants having an average age of just 26, compared to what he called the “grandmothers” who comprise the flight crews of American carriers. He also referred to the U.S. carriers as “crap.” He later apologized for the remarks. What do make of all this? 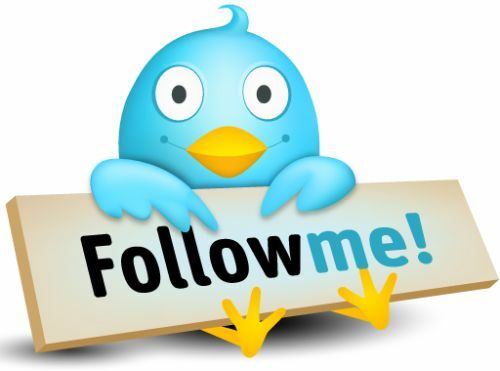 Please leave your comments below. Could this be the latest impact of the U.S. “laptop ban” on non-stop flights from the Middle East? Abu Dhabi-based Etihad Airways said it will eliminate service to San Francisco effective October 29. 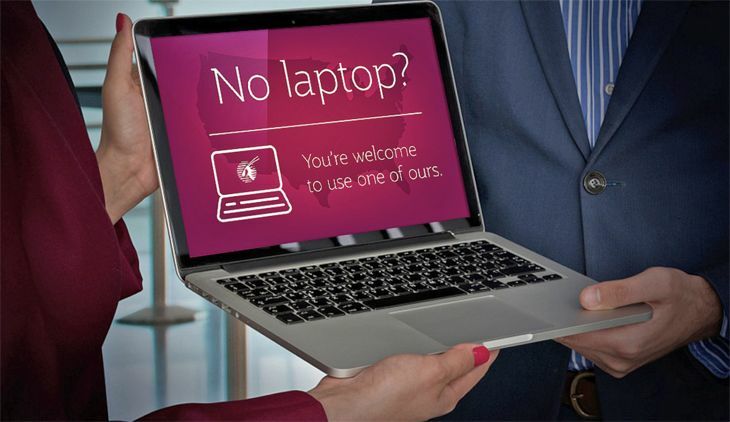 Etihad didn’t mention the laptop ban in its announcement, instead blaming the decision on lower-than-expected passenger levels and fares on the route. 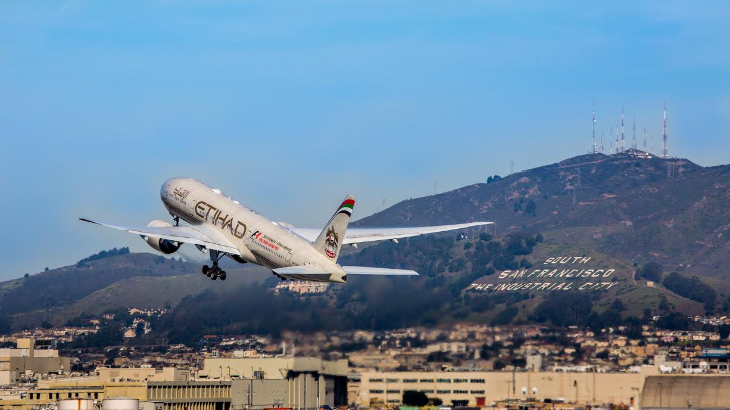 Earlier this year, Etihad had reduced frequencies on the SFO-Abu Dhabi route from daily to three flights a week. Etihad’s presence at SFO got off to an inauspicious start. When it arrived in San Francisco in November of 2014, it used an older 777 borrowed from India’s Jet Airways, in which Etihad has partial ownership- this led to the nickname “Jetihad.” Back then we posted a TravelSkills Trip Report about a Jetihad flight which confirmed what many travelers feared- service that was not quite up to Etihad standards. Eventually, it put one of its own 777s on the route. Etihad said it will refund or rebook passengers booked on SFO flights after October 29, and that it will continue service on its other U.S. routes. Two months ago, Emirates said it planned to reduce its U.S. service this spring by 25 flights a week on routes from Dubai to Boston, Los Angeles, Seattle, Orlando and Ft. Lauderdale – although it did not eliminate any of those routes. Emirates placed the blame on declining passenger demand, which it attributed to the laptop ban and on the Trump Administration’s efforts to ban travel from select Muslim-majority countries. 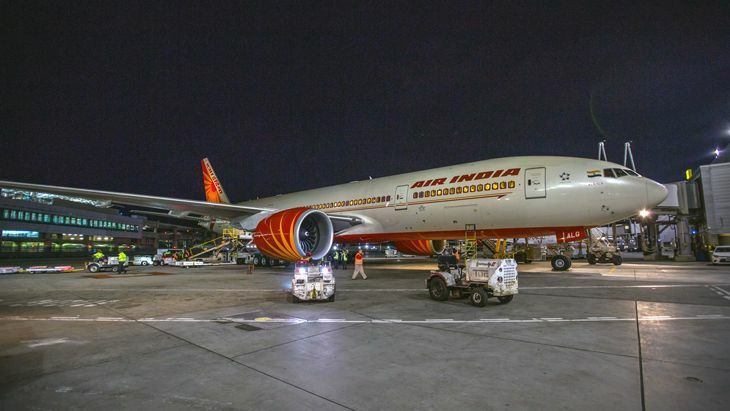 Every reduction in U.S. service by the Big Three Middle Eastern airlines (Emirates, Etihad and Qatar Airways) is expected to benefit Air India, since a considerable amount of U.S.-India traffic flows through the Gulf States on those carriers. 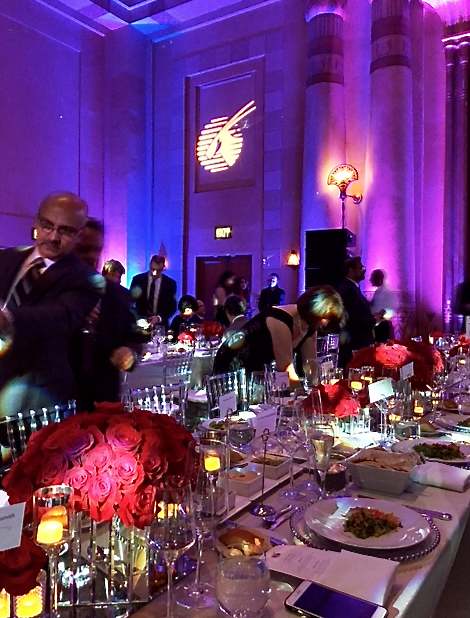 Next month, Air India will launch new service between Delhi and Washington Dulles, and recent reports indicate it plans to start flying from Delhi to Los Angeles in September and possibly to Dallas/Ft. Worth later this year. The Indian carrier was reportedly encouraged to expand its U.S. presence by the success of its San Francisco-Delhi route. 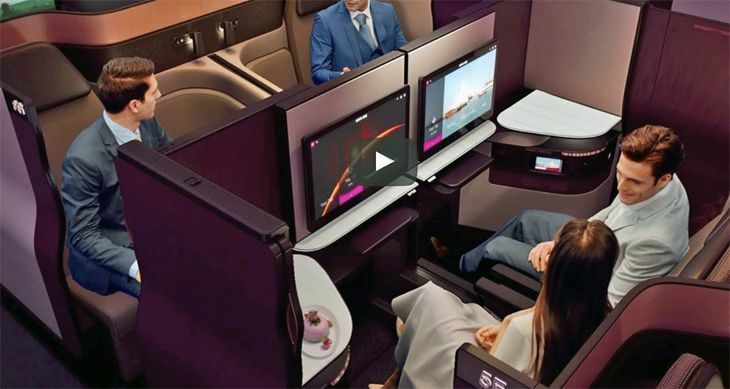 Meanwhile, Qatar Airways – which has maintained an aggressive growth strategy for the U.S. – said in April that it is planning to add Doha-San Francisco service in 2018. It already flies to 14 U.S. cities. Qatar officials said the airline’s load factor on U.S. routes fell by only half a point since the laptop ban was imposed. 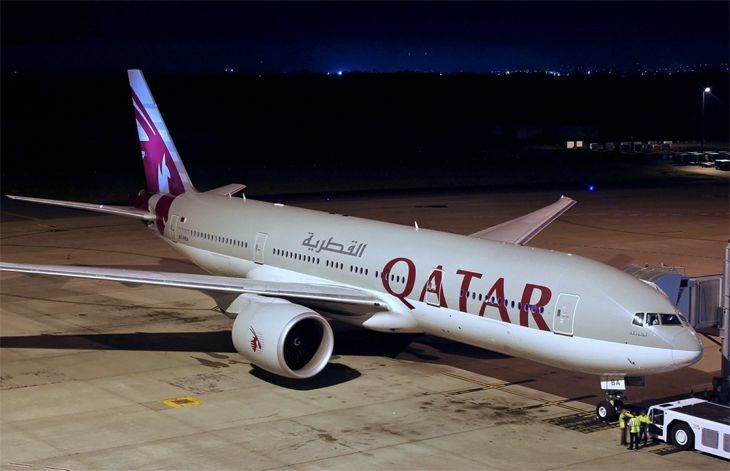 However, Qatar Airways announced those plans before encountering a crisis this month when several of its regional neighbors – including Saudi Arabia, Egypt, Bahrain and the United Arab Emirates – broke off diplomatic relations with Qatar, banning its airline from flying into their airports or through their airspace. Thoughts, please! Have you flown Etihad or Jetihad? What did you think? Big airlines all try to get involved with the communities they serve by sponsoring or contributing to various local venues or events. Delta does that too, but it just made a couple of moves that might have its public relations department wondering what its community relations department was thinking. 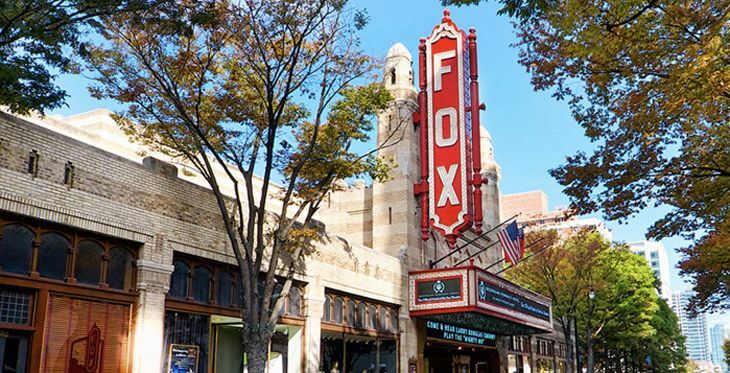 The first move was in Atlanta, where Delta has been a sponsor of the city’s landmark Fox Theater for 20 years. But now, according to the Atlanta Journal-Constitution , Delta plans to end that sponsorship when it expires next year. Why? 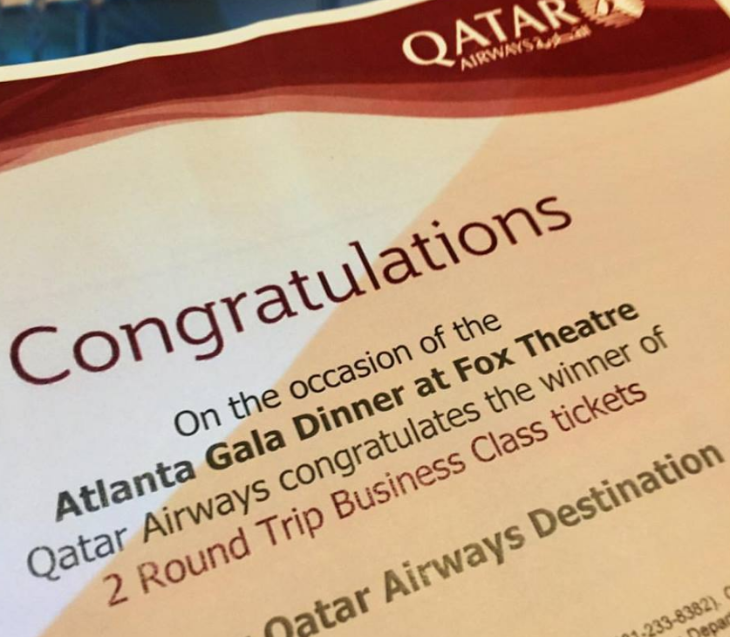 Because the theater had the audacity to rent out its space to Qatar Airways for a VIP event plus an exclusive performance by Jennifer Lopez celebrating that airline’s launching of Atlanta-Doha service on June 1. Delta and the other big U.S. carriers have been in a major feud with the Big Three Middle Eastern airlines – Qatar, Etihad and Emirates – for many months, alleging that they are subsidized by their governments and thus competing unfairly on routes to the U.S. Those carriers have also been adding new U.S. routes at a fast pace, prompting the U.S. carriers to lobby for government intervention that would stop that expansion. Earlier this year, Delta cancelled its Atlanta-Dubai route, blaming subsidized competition; and last month, a Delta executive blasted Qatar Airways’ plan for Atlanta service, claiming there is no way that carrier could make money on the route. A Qatar executive responded by saying his airline was going to “rub salt in the wounds of Delta” by flying to Atlanta – a remark that prompted Delta to take revenge by canceling its Fox Theater sponsorship, the newspaper reported. 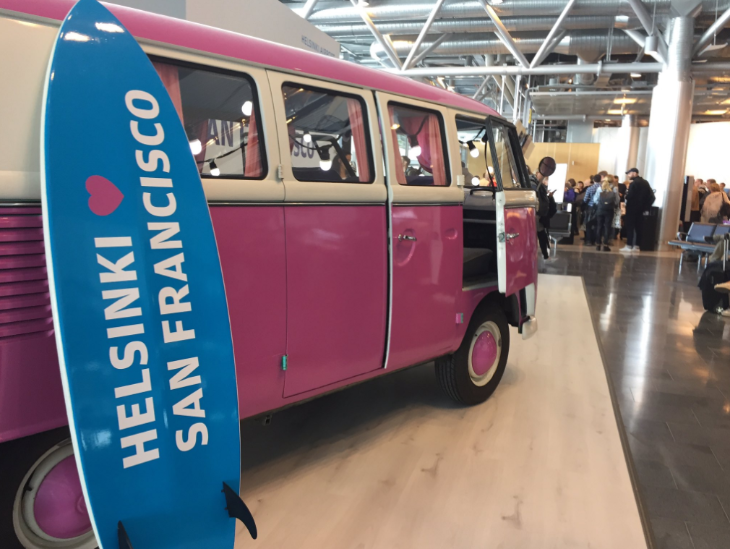 Meanwhile, Delta has another rival in Seattle – Alaska Airlines, where the two carriers are in a battle for new routes and market share. In that city, Delta has just taken on sponsorship of the annual Seattle Gay Pride Parade for three next three years – but it added one stipulation to its sponsorship agreement: No Alaska Airlines employee can be in the parade if they are wearing T-shirts or other clothing that displays the Alaska Airlines logo or brand. Come on, Delta. How low can you go? UPDATE: Scratch that report about the Seattle Gay Pride Parade. Apparently a Seattle Pride leader misunderstood the sponsorship arrangement with Delta, and mistakenly told Seattle media that it barred Alaska Airlines employees from participating in clothing with company logos. They are indeed welcome, and Delta never declared that they weren’t, he said. Reader thoughts, please! 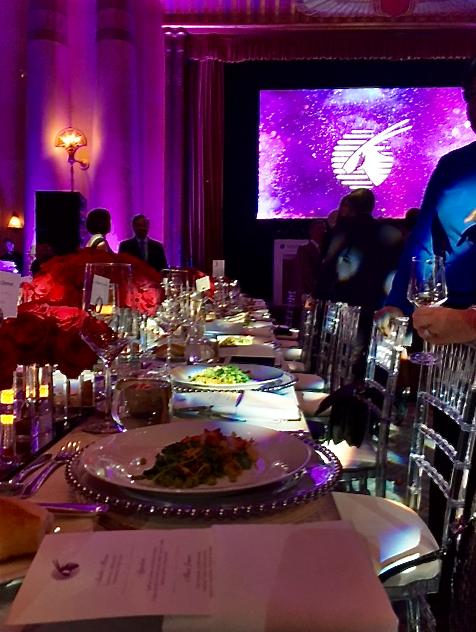 Plus see below for some more images from the Qatar Airways event at the Fox. Last week when I was between the runways at SFO to watch and report on British Airways’s new A380 arrival, I spied upon several interesting things. 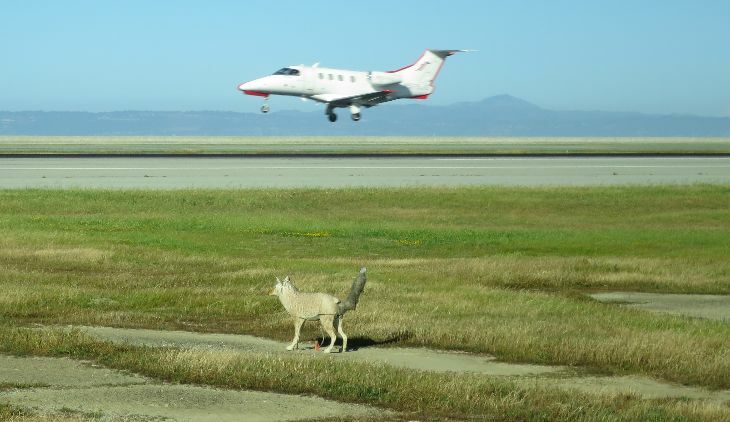 First off was this fake coyote located on a grass strip between the runways. It’s there to scare off birds and prevent bird strikes, which have been on the rise at Bay Area airports recently. Have you ever seen this little fella? He (or she) is one of several located around the airfield. Air traffic controllers who read TravelSkills report that pilots frequently spot the decoys, think they are the real thing, and then report them as runway hazards. According to FAA data, there were 10,856 recorded birdstrikes nationwide in 2013. That’s almost double from 2003, just 10 years before (5,886 strikes), according to a report on NBC Bay Area news. 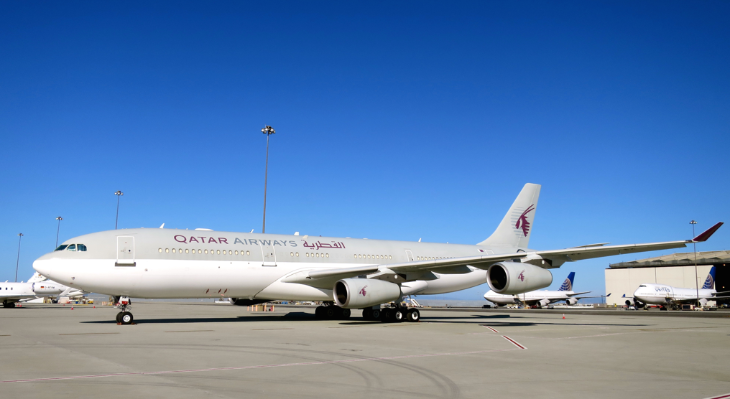 Qatar Airways does not offer commercial flights to SFO, yet here was a big Airbus A340 parked over by the United hangar. While I have not been able to confirm this, rumor has it that a member of the Qatari royal family comes to San Francisco for periodic treatment at a local hospital. So the plane comes, and waits, for the royal to receive treatment, then flies home. 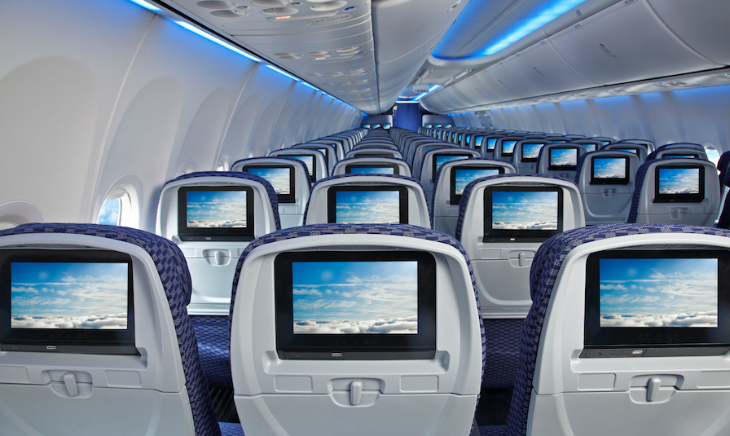 An A340 typically holds about 300 passengers. But not this one! 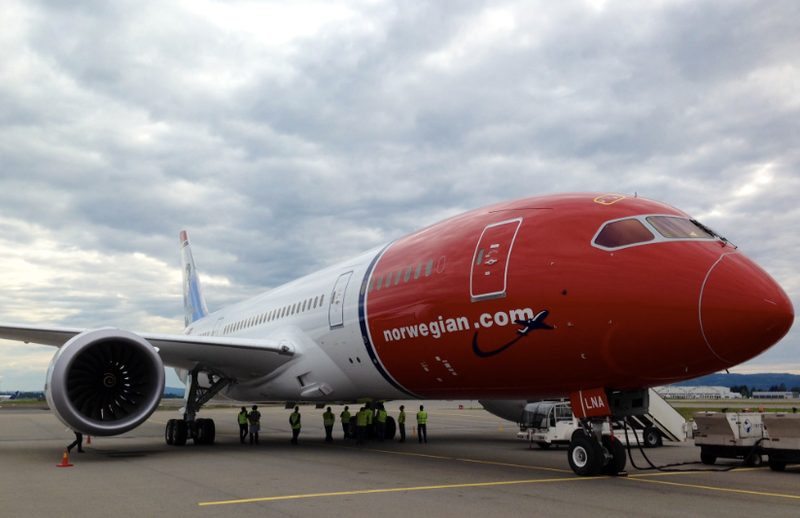 I wonder if any TravelSkills readers have the scoop on this plane? Virgin takes top honors in food study. Charles Platkin, a nutritionist also known as the Diet Detective, has come out with his annual ratings of airline food in terms of its nutritional quality, and Virgin America has captured the top spot. “It’s great that Virgin America also provides ALL nutritional information, NOT just calories, and it’s on their website, too. Virgin America also has on-demand eating – you simply select the food you want, when you want it right at your seat,” he wrote. Platkin rated Delta’s in-flight food as most improved this year, thanks to a new partnership with healthy food company Luvo. Do you care about the nutritional value of in-flight food? What’s the best meal you’ve had this year? Please leave your comments below. Delta broadens beer selections. The craze for regional craft beers is getting a boost from Delta, which said it is introducing seven varieties to the beverage carts on a number of its most popular business travel routes. The providers of the new brews range from New York’s Brooklyn Brewery to San Diego’s Ballast Point Brewing. 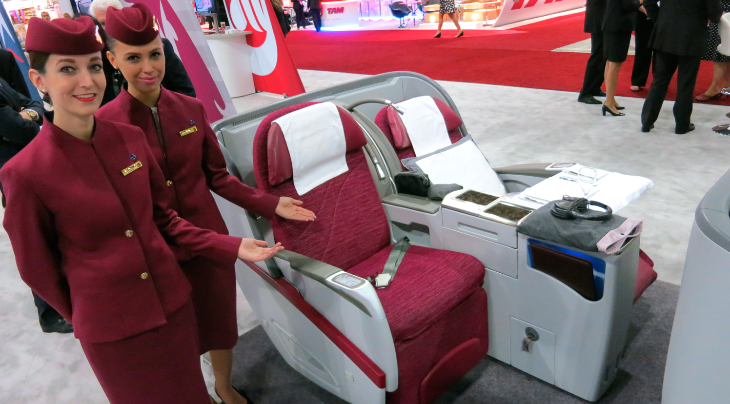 Qatar debuts world’s newest airliner. 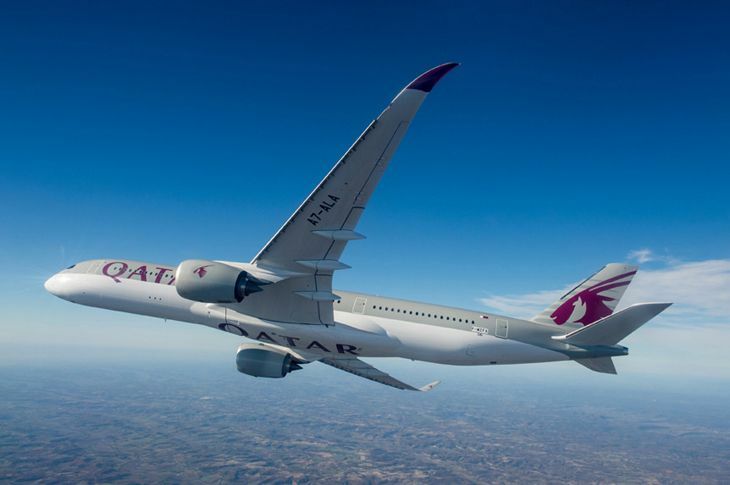 Qatar Airways, the global launch customer for the new Airbus A350 XWB, said it will take delivery of the first aircraft on December 13, and plans to put it into commercial service between Doha and Frankfurt in January. 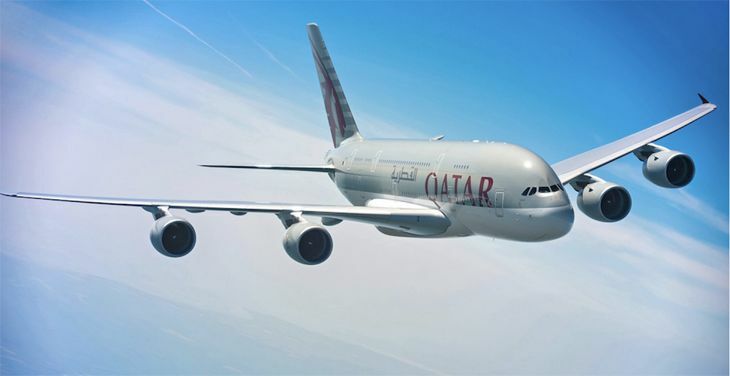 Qatar, a member of the Oneworld global alliance, has expressed its confidence in the new Airbus model by ordering 80 of them. The A350 is a wide-body, mid-sized aircraft designed as Airbus’ answer to Boeing’s 787 Dreamliner, to be used on medium to long-haul international routes. Like the Boeing plane, the A350 relies on composite materials and aluminum alloys to reduce its weight and increase fuel efficiency. 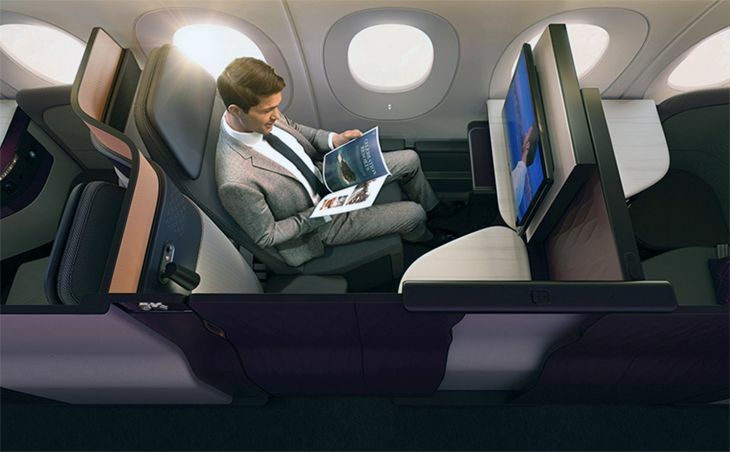 The XWB stands for extra-wide body — its cabin is a few inches wider than the 787’s. 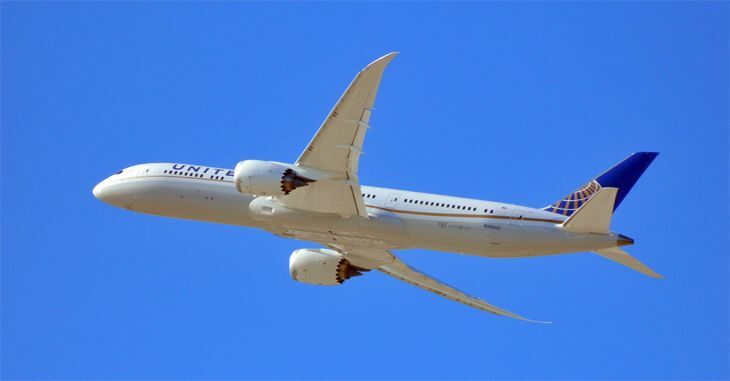 TravelSkills got an advance look at the A350 a few months ago; here’s our report. 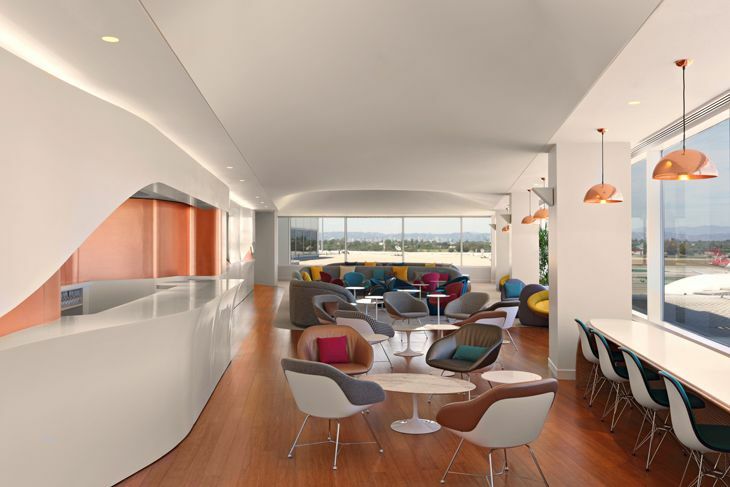 Oneworld expands benefits. Frequent flyers who have achieved Sapphire status in the Oneworld alliance (American, British Airways, et al.) are getting an additional baggage benefit. In economy class on member airlines using a weight-based system, they’ll get an extra 15 kg. 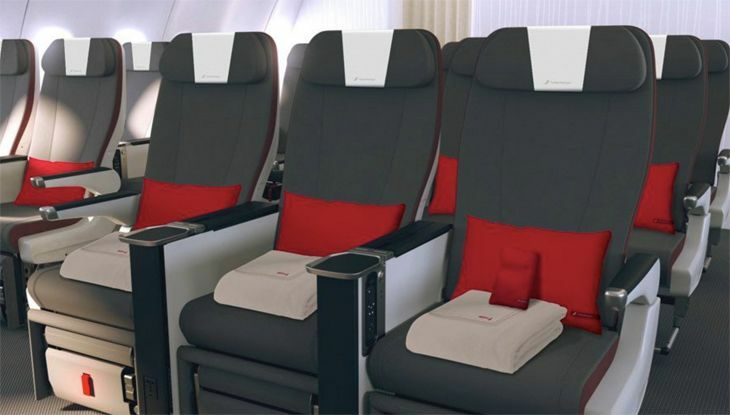 over the usual economy class allowance; and on those using a piece system, they’ll get a second checked bag (when the allowance is one) of up to 23 kg. 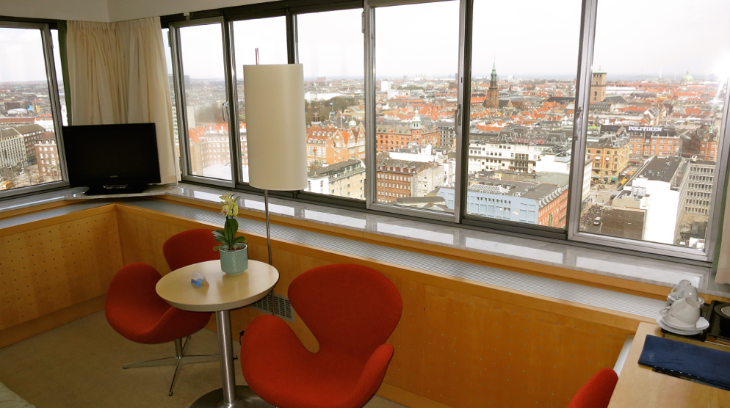 Allowances were also increased for first and business class customers. In addition, Sapphire and Emerald-level elites will get priority baggage delivery. International routes: Etihad, United, Lufthansa, Azul. 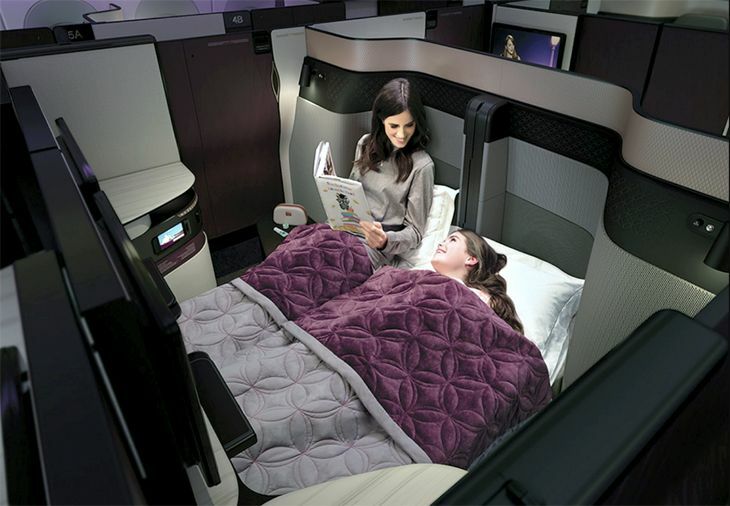 Etihad Airways last week kicked off new non-stop service between Abu Dhabi and Dallas/Ft. 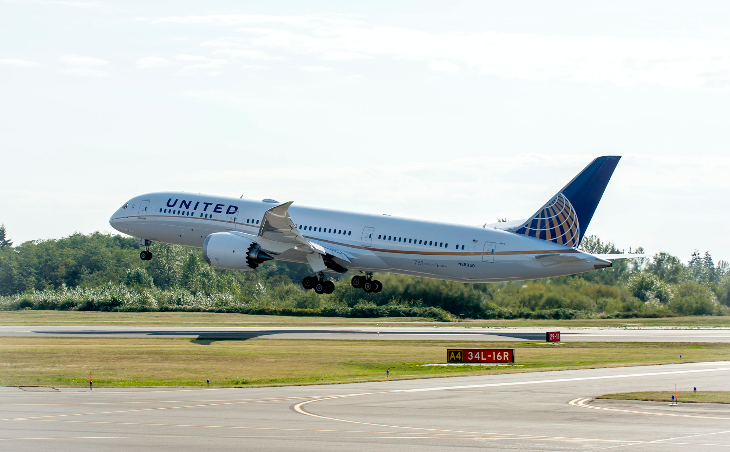 Worth, using a three-class 777-200LR; its initial three flights a week will increase to daily next April … United on Sunday (December 7) begins daily non-stops between Houston Bush Intercontinental and Santiago, Chile, with a 767-300 … Lufthansa last week resumed seasonal Miami-Munich service five times a week, with a three-class A330-300 … Brazilian carrier Azul — run by JetBlue founder David Neeleman — has started its first service to the U.S. with a daily Ft. Lauderdale-Sao Paulo flight; it will add Orlando-Sao Paulo on December 15. 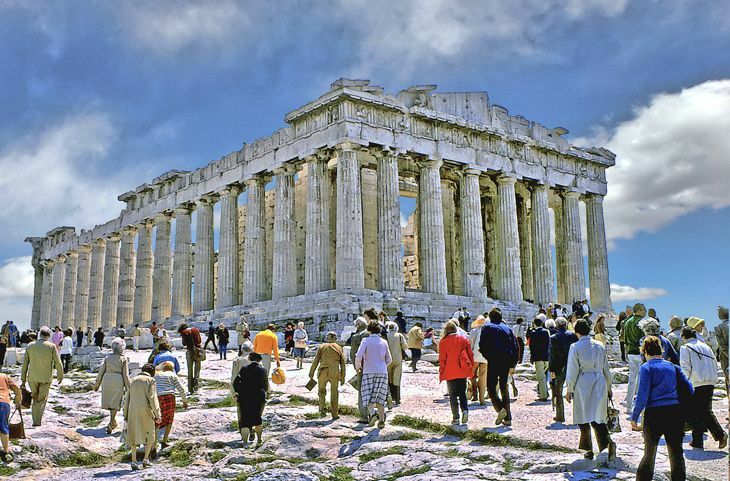 Delta sets seasonal Europe service. 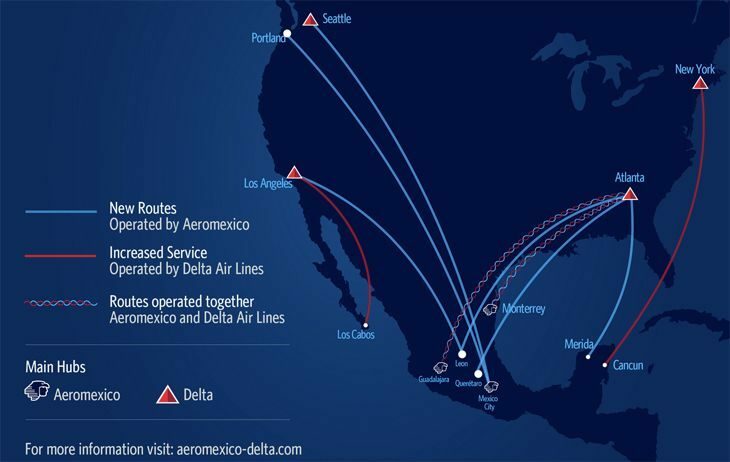 Delta last week unveiled plans for its 2015 seasonal transatlantic schedule additions. 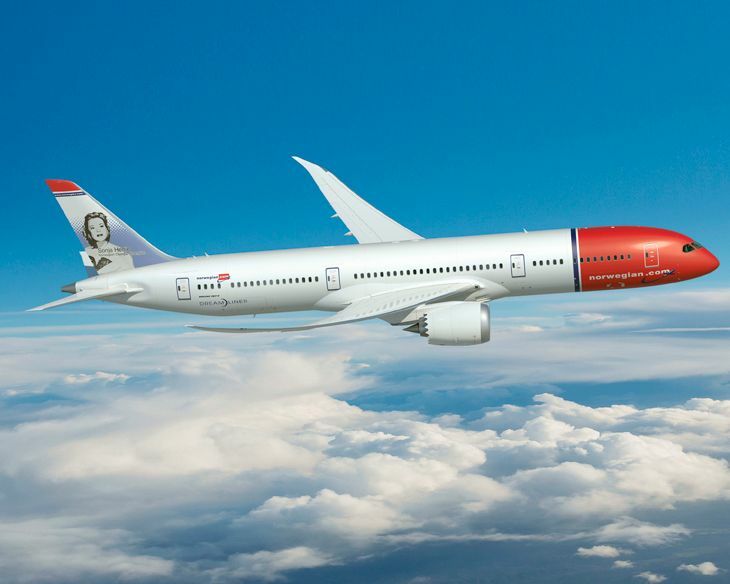 March 29 is the launch date for New York JFK-Nice service, using a 767-400 and operating five times a week, increasing to daily on May 2. Also on May 2, Delta will kick off daily JFK-Shannon, Ireland non-stops with a 757-200. 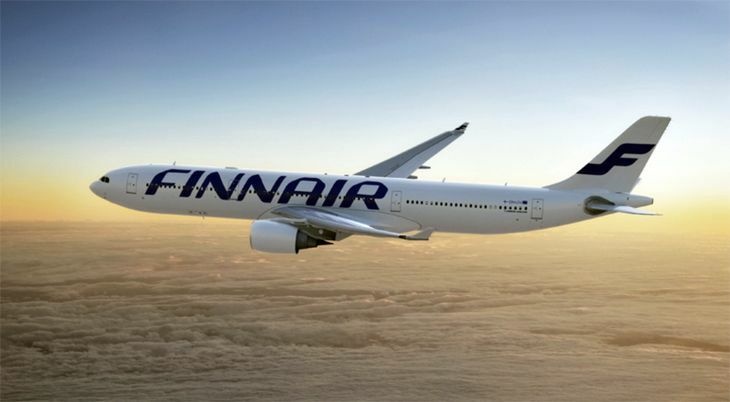 On June 2, the airline will begin daily JFK-Prague non-stops, using a 767-300, and daily Atlanta-Barcelona service with an A330-300. Clear Card in Vegas. CLEAR, the provider of biometric identity-based expedited access to airport security lanes, has finally added Las Vegas McCarran as its 10th location. The $179-a-year service is already available at SFO, SJC, DFW, DEN, IAH, HOU, SAT, MCO and HPN. 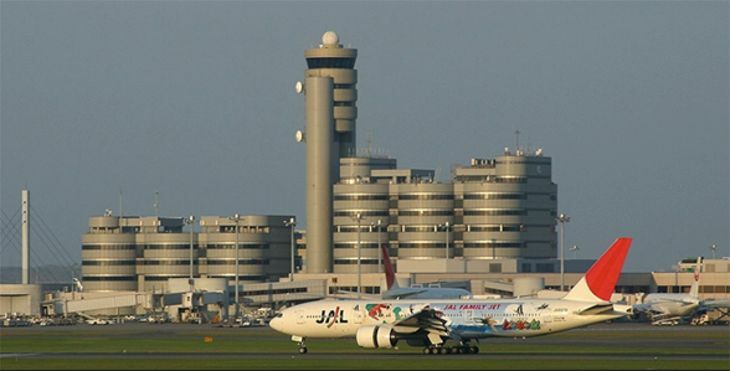 Miami International MIA is next on the list for Clear although there is no firm start date. Do you use Clear? 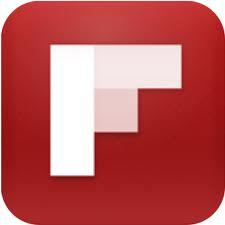 Is is still worth $179 per year? Leave comments below. Washington D.C.’s airports dilemma. 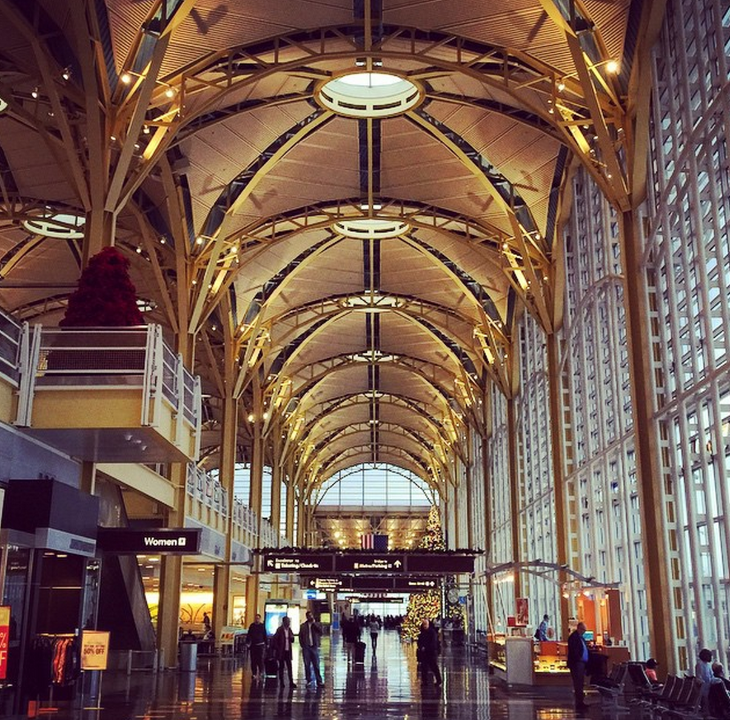 The nation’s capital has expected Dulles International Airport to handle the region’s long-term traffic growth, but a report by the Washington Post notes that growth at IAD has stalled as more passengers and airlines are flocking to close-in Reagan National Airport. Part of the blame goes to Congress, which has opened up DCA to more long-haul flights, but part of it is due to Dulles’ remote location. Uber, Lyft OKd in Denver. Ride-sharing services Lyft and Uber have both won approval from Denver International Airport officials to pick up and drop off passengers at the passenger terminals. 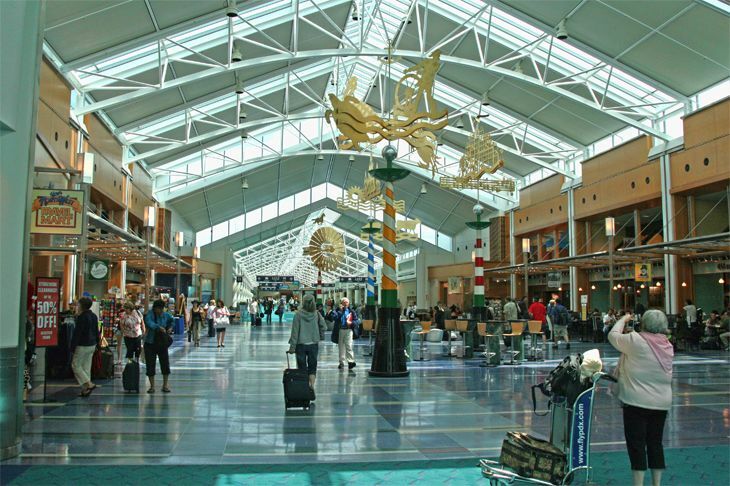 Have you used Uber or Lyft for airport transportation? How would you describe the difference between the two? South Florida gets three new properties. 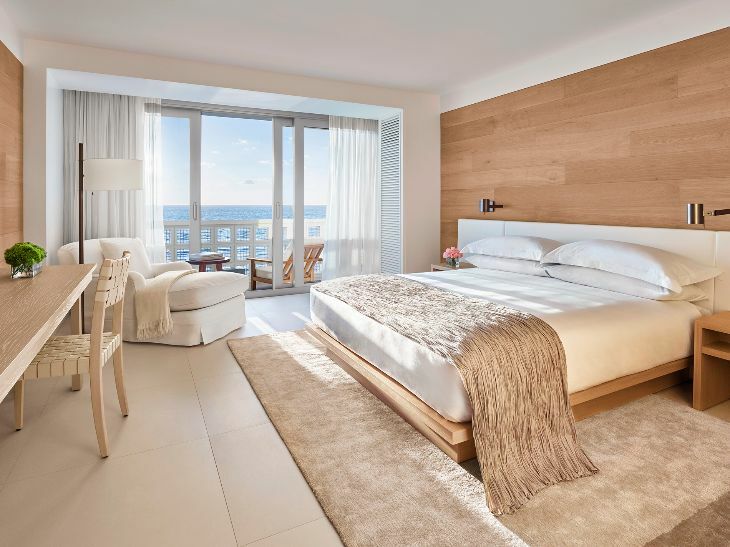 The newest product of Marriott’s partnership with hotelier Ian Schrager has opened its doors — the Miami Beach EDITION. The 298-room EDITION — a remaking of the old Seville Hotel at 2901 Collins Avenue — was designed as an “urban resort” to appeal to business travelers who want to work and play in Miami Beach … Down the road at 4041 Collins Avenue, Thompson Hotels has cut the ribbon on the 380-room Thompson Miami Beach in an historic Art Deco building; it has 47,000 square feet of meeting space and a gourmet restaurant called Seagrape from local celebrity chef Michelle Bernstein … And in Palm Beach, Kimpton Hotels has added a new oceanfront property, taking over the former Omphoy Ocean Resort and rebranding it last week as the Tideline Ocean Resort & Spa after making a number of enhancements. Openings: Houston, Brussels, Johannesburg. 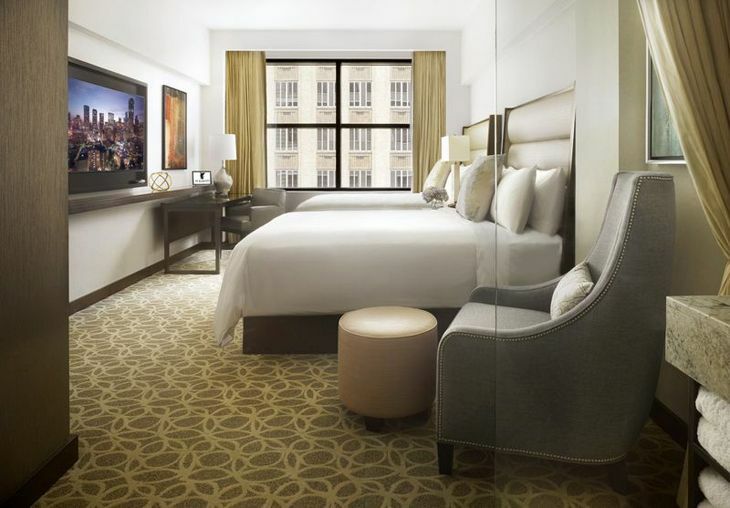 The century-old Samuel F. Carter building at 806 Main Street in downtown Houston has been remade into the newly opened, 328-room JW Marriott Houston Downtown. Each room has a 55-inch TV, Nespresso machine, touch-screen room controls, and an iPad for ordering hotel services … A landmark building in the heart of Brussels, close to the Grand Place and the Square Brussels Meeting Center, has been transformed into the new Hilton Brussels Grand Place, with 123 rooms and suites … The renowned Westcliff Hotel in Johannesburg, South Africa, has undergone an 18-month, $56 million renovation and reopened as The Four Seasons Hotel-The Westcliff Johannesburg. All 117 rooms were renovated, and the hotel has new contemporary restaurants, lounges and a spa …In Australia, luxury operator Langham Hotels has finished a $25 million renovation of The Langham Sydney (formerly the Observatory Hotel). Emirates deploys more super-jumbos on U.S. routes. Here’s an airline credit card with a super sign-up bonus. 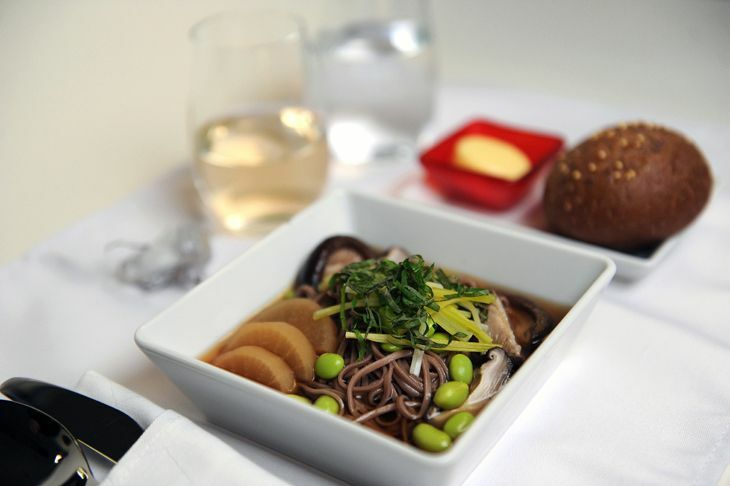 Japan Airlines rolls out posh Sky Suite 777 service.